Not only is Richard a maker of fine wines, Richard is the host of Victoria's most popular Wine and Food show 'my Wine & Food with Richard Stockman'. Richard is live on air talking all things wine and food from 9am on Saturday's on MyMP 1377am and Digital DAB+. My Wine & Food chats to many wine makers from around the country, as well as regularly chatting with restaurants around Melbourne, chatting about what's on in the world's most livable city, and regularly features guests such as Gabriel Gate sharing one of his delicious recipes, or Master Chef's favourite contestant Mindy Woods! What a great night. The Iron Chef's were very hospitable when in Japan so we returned the favour. Richard and the owner of Kunis Jimmy enjoying a wonderful lunch. Richard hosted a delegation of Chinese to learn more about wine and the wine industry in Australia. Richard Stockman at the Tahbilk Winery with the wife of the legendary Don Lewis. 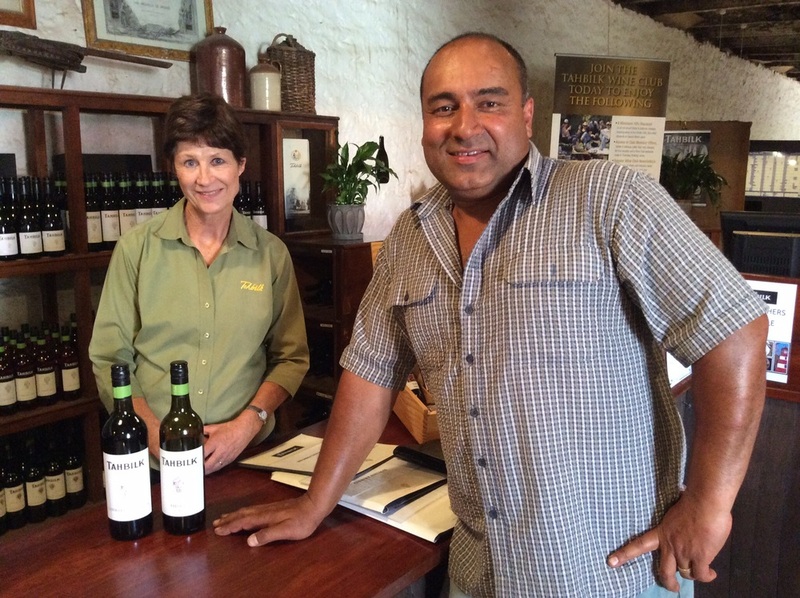 A good relationship between Stockman Wines and Tahbilk Wines.